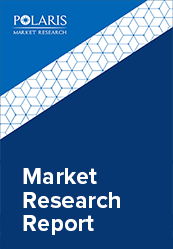 The global myasthenia gravis disease market was valued at USD 1,012.2 million in 2017 and is anticipated to grow at a CAGR of 10.8% during the forecast period. Myasthenia gravis disease is a neuromuscular ailment that causes the weakness of skeletal muscles, that are used for body movement. MG Disease is generally caused by an autoimmune disease when communication between muscles and nerve cells becomes impaired. Such impairment prevents crucial muscle contractions, resulting in muscle weakness. The symptoms of MG Disease include facial paralysis, difficulty breathing due to muscle weakness, difficulty swallowing or chewing, drooping of eyelids, and trouble in walking. If not treated, symptoms may increase over the time. According to the Myasthenia Gravis Foundation of America, MG is relatively rare condition that affects approximately 14 to 20 out of every 100,000 people in the United States. Moreover, according to the National Institutes of Health (NIH), MG typically occurs in people over the age of 40 where Women are more likely to be diagnosed as younger adults. There is no exact cure for the MG disease. However, through appropriate diagnosis and medication treatment, the disease can be controlled over the time. The global Myasthenia Gravis Disease market is majorly driven by the factor such as high incidences of neuromuscular disorders. Moreover, increasing number of clinical facilities across the region and rising consciousness about the treatment are other factors driving the market growth. However, the unfamiliarity with early symptoms as well as signs and high cost associated with the treatment are factors hampering the market growth. The global Myasthenia Gravis Disease Market is segmented on the basis of diagnosis, treatment, end-user, and region. On the basis of diagnosis, the market is categorized into Imaging, Blood Tests, Electrodiagnostic, and Edrophonium Test. The imaging segment is further bifurcated into X-ray, Computed Tomography (CT), Magnetic Resonance Imaging (MRI), and others. On the basis of treatment, the market is segmented into Medication, Surgery, and HSCT. The end-user is further segmented in to Hospitals, Clinics, and Academic Research Institutes. The Myasthenia Gravis Disease Market report comprises a detailed geographic distribution of the market across North America, Europe, APAC, Latin America, and MEA. North America is segmented into U.S., Canada, and Mexico. Europe is further divided into Germany, UK, France, and Italy. Asia-Pacific is further bifurcated into China, India, Japan. On the basis of geography, North America Myasthenia Gravis Disease Market is estimated to held the largest market share. The major factors accounted for the high MG Disease market growth includes high occurrence of disease such in North America. For instance, MG disease affects approximately 14 to 20 out of every 100,000 people in the United States. Moreover, increasing government initiatives and funding for the disease treatment, rising number of drug manufacturers and, growing awareness about the long-term effects of muscle dystrophy in the region are other factors for the market growth in North America. 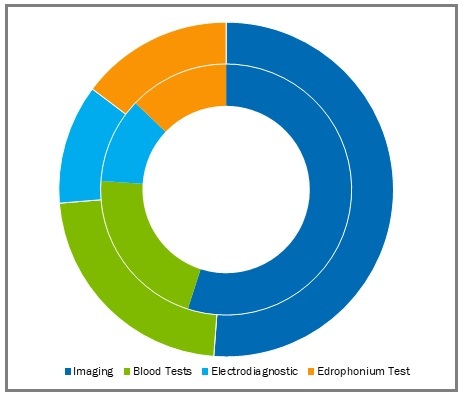 The leading players in the Myasthenia Gravis Disease Market include Alexion Pharmaceutical Inc., Avadel Pharmaceuticals plc, CSL Behring, Grifols S.A., Baxter International Inc., Shire plc, Novartis AG, F. Hoffmann-La Roche AG, Takeda Pharmaceutical Company Limited, and Valeant Pharmaceuticals International Inc. among others. The leading players in the market are introducing new innovative products in the market to cater to the growing consumer demands. Global players are entering new markets in developing regions to expand their customer base and strengthen market presence.